If not kept in check, this pattern can spread very easily throughout your code base. We had over 30 widgets being parameterized this way. Nearly half the time, the widget was receiving parameters just to pass it along, just like the MyWidget example given above. MyWidget’s state is independent of the parameters and yet it was getting rebuilt every time the parameters were changing! This context is just a Dart class. As such, it can contain anything you care to put in there. Many of the frequently used Flutter contexts such as Style or MediaQuery are nothing but inherited widgets living at the MaterialApp level. The constructors are now const making these widgets cacheable; thus increasing performance. When the parameters get updated, a new MyInheritedWidget is built. However, unlike the first example, the subtree is not rebuilt. Instead, Flutter keeps an internal registry that keeps track of widgets that have accessed this inherited widget and only rebuilds widgets that use this context. In this example, that is MyOtherWidget. If the tree gets rebuilt due to a reason not related to the parameters such as orientation change, your code can still build a new inherited widget. However, since the parameters are the same, widgets in the sub-tree would not be notified. This is purpose of the updateShouldNotify function implemented by your inherited widget. Without const, selective rebuilding of the sub-tree does not happen. Flutter creates a new instance of each widget in the sub-tree and calls build() wasting precious cycles especially if your build methods are heavy. App-scoped widgets such as MediaQuery. These are accessible by any widget on any page in your app since they sit at the root of your app widget tree. Page-scoped widgets such as the MyInheritedWidget in the example above. You should choose one or the other depending on where the context is applicable. From Flutter’s perspective, a navigation hierarchy does not exist. 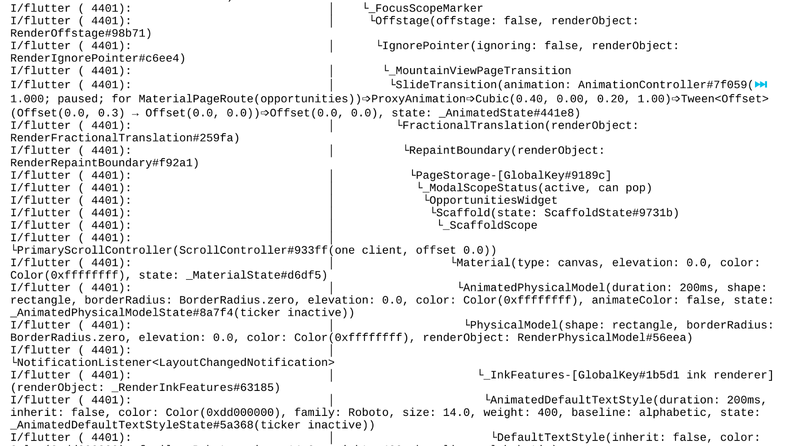 Each page (or scaffold) is a widget tree tied to the application widget. Therefore, when you use Navigator.push to display these pages, they do not inherit the widget carrying parent’s context. In the example above, you will need to pass the Student context from Student page to Student Bio page explicitly. Although there are different ways to pass context, I suggest parameterizing your routes the old-fashioned way (such as URL style encoding if you use named routes). This also ensures the pages can be constructed solely from the route without needing the context from their parent page. Googler since 2011. Flutter Evangelist.